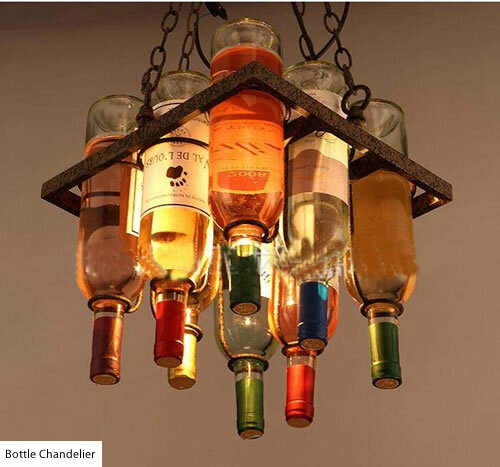 Have you seen Wine Bottle Chandeliers? I’ve seen them in restaurants. 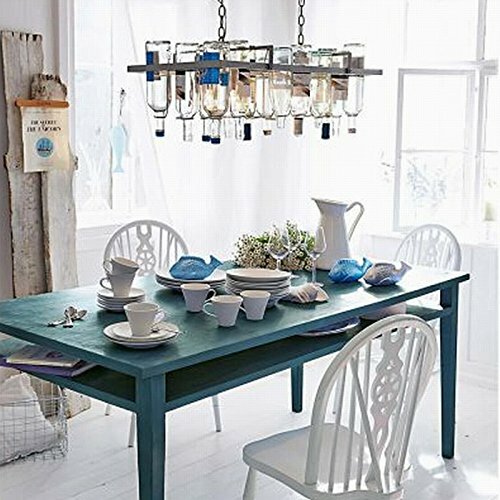 They are reasonably priced and would be a fun find for any dining room. 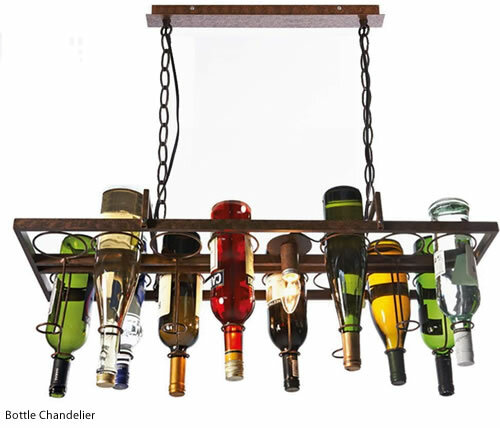 There are different configurations of Wine Bottle Chandeliers. 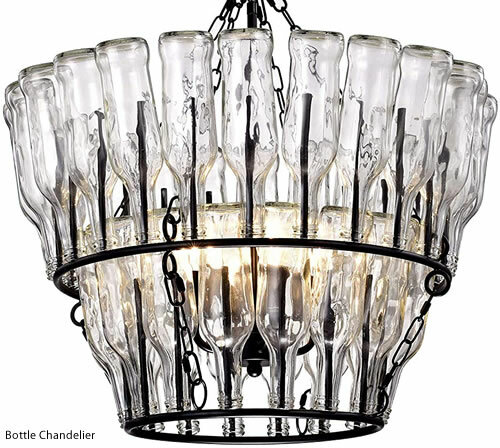 Some have a frame with a ring of spikes that each hold a wine bottle. A socket is suspended in the middle. The light diffuses through the bottles. 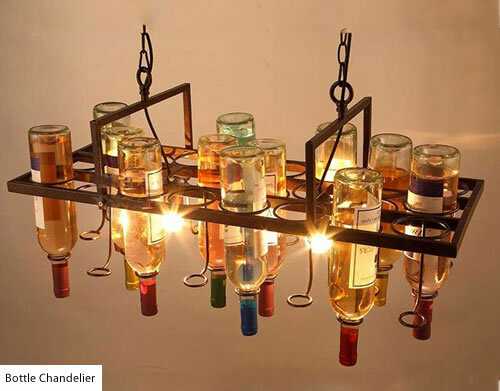 They look like the bottle rack you use when you make wine. They come in various sizes and configurations. 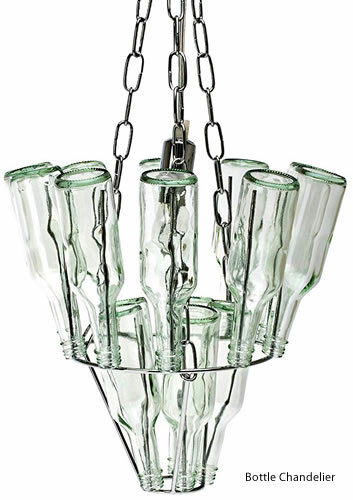 Other Bottle Chandeliers have a ring to hold the bottle. You could hold full bottles this way. 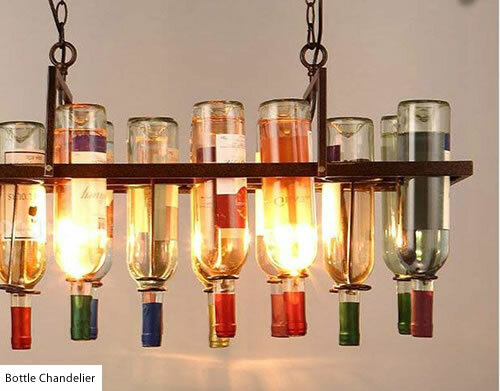 If you use full bottles, don’t use a bulb that adds heat unless you want to turn the wine into vinegar. They can be customized to really reflect your taste and style. You can buy the frames without bottles and add your own bottles. 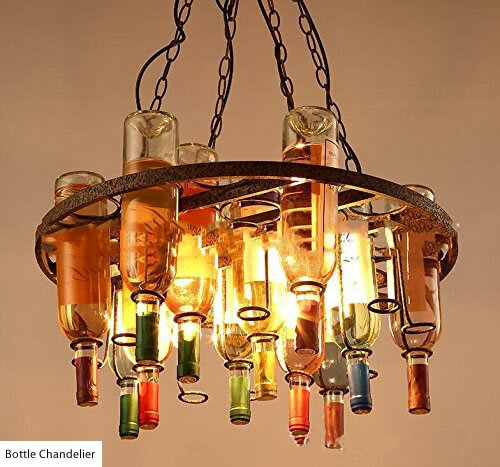 You can use colored bottles. You can color bottles yourself using white glue and any water soluble paint. 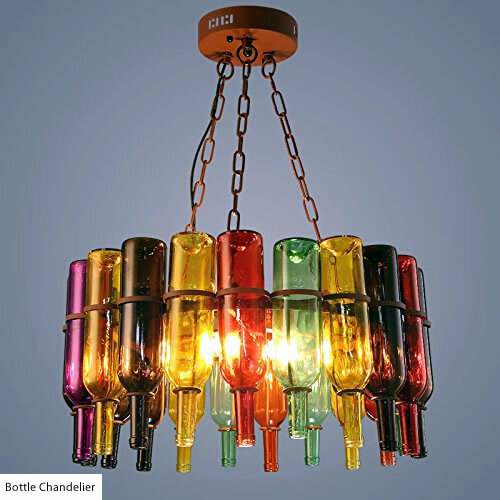 This entry was posted on October 4, 2018, in Chandeliers, Eclectic, Farmhouse, Restaurant. Bookmark the permalink.